It's fun to learn about our common, roadside wildflowers. 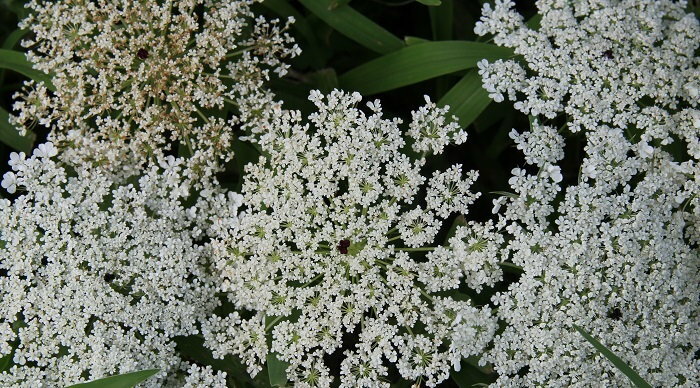 Daucus carota is the botanical name for the cultivated carrots you find in the grocery store and the wild carrot that grows along roadsides, but most gardeners will recognize the plant as Queen Anne's Lace. 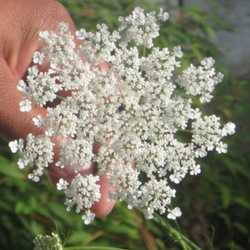 Queen Anne's Lace is a biennial plant that is often seen blooming along the roadsides in late spring and through summer season. It is native to the European continent and parts of the Middle East and the ancestor of our carrots today. Settlers to North America brought the seeds with them and it established itself quickly and flourished in its new home. The young roots were boiled and eaten much like we enjoy carrots today and since they are high in sugars, were often used to sweeten other dishes. (sweet dishes in Colonial times were much less sweet than what we are accustomed to today. We would probably not like them at all.) The seeds were used as a spice and the flowers were often eaten as well. As with most biennial vegetables, the time to harvest the roots is in its first season, as they become tough and woody in the second year when it blooms. The seeds of the plant were also used as a contraceptive and are still considered one today in some parts of the world. It does suppress the production of progesterone, so there is some validity to the idea. 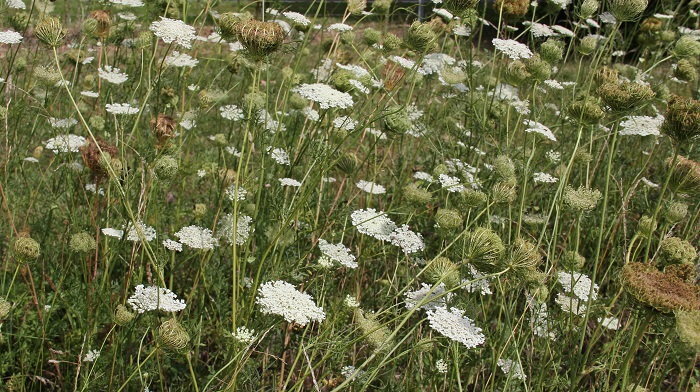 Some herbalists offer a tea made from Queen Anne's Lace as a cure for kidney stones, but any herbal remedies should only be administered by those trained in their uses. People uneducated in the use of herbal medicine have no idea about the potency of plants from different areas and you can under-treat someone or over-treat someone easily, so leave that to the experts. Yes, it is now considered a pretty weed and is even deemed invasive in some areas, but this plant does serve a purpose. It is a host plant for the Black Swallowtail caterpillar (since it is of the parsley family) and the roots give up an ivory shaded dye for those who like to use plants for that purpose. The flowers make a delicate jelly when steeped to release their juices. 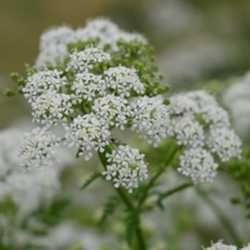 However, use caution when creating any edible from Queen Anne's Lace since it bears a close resemblance to Poison Hemlock...which is deadly. Please be confident of your identification skills when harvesting any wild plants! 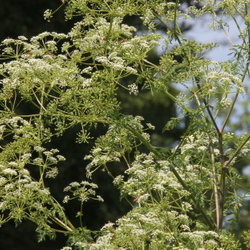 Poison hemlock is the plant Aristotle used to commit suicide and the end was not pretty with abdominal pain and burning, so when in doubt, leave wild plants in the wild. Queen Anne's Lace is easy to grow and makes a nice addition to the back border of a cottage garden. The fluffy, delicate flowers make a great filler in arrangements and bouquets, much like Baby's Breath. However, there is an old wives' tale that states that if the flowers are cut and brought into the house, the mother of the house will die, so use at your own peril! The plants reseed happily and to prevent an abundance of unwanted seedlings taking over your garden, deadhead all blossoms except for just a few to ensure next year's plants. It thrives in sunny, disturbed ground and has few pests, unless you consider the swallowtail caterpillars pests, which I certainly do not! It is fun and interesting to research the origins and legends of many of our roadside weeds and it makes for a great conversation piece when visitors tour your gardens. They will be impressed that you cared enough to learn some of the history behind your plants and you'll feel a lot smarter!